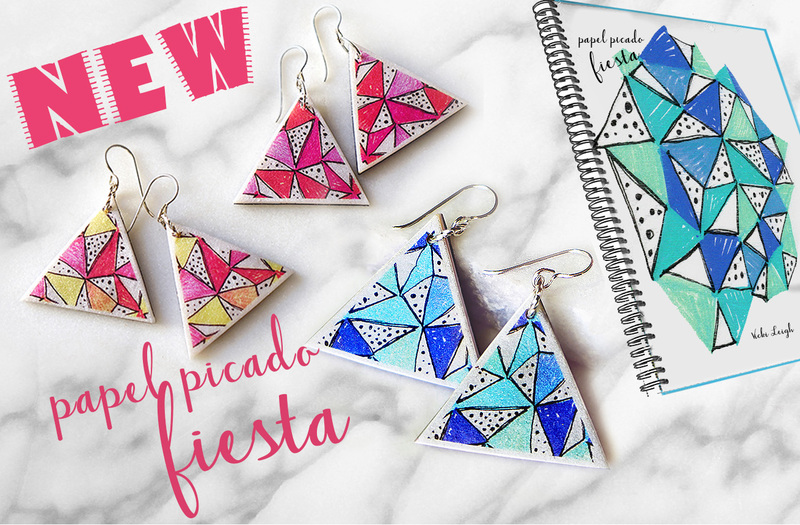 Papel Picado are the ‘picked paper’ banners you see at a Mexican Fiesta, designed to celebrate and create a party atmosphere the colours chosen are bright and lively and energetic. Vicki Leigh’s polymer clay art designs are lightweight, conceptual, unique, fun art earrings. next BIG market… during Melbourne Fashion WEEK!!!! I hope you enjoy the new designs and feel free to get in touch with any bespoke ideas. All on-line sales are made-to-order to avoid waste and make each piece customisable (time frame permitting). Posted in blog, earrings, markets and tagged creative earrings, fiesta earrings, melbourne markets, triangle earrings, unique earrings designs, unique jewellery.